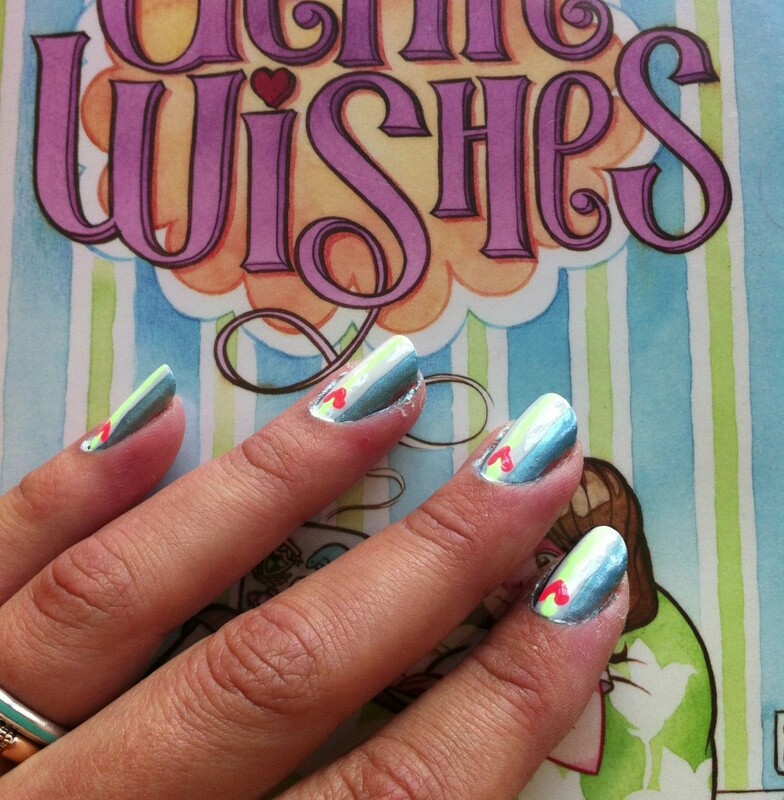 I’m deeply in love with Genie Wishes, Elisabeth Dahl‘s debut MG novel. Read my review here. 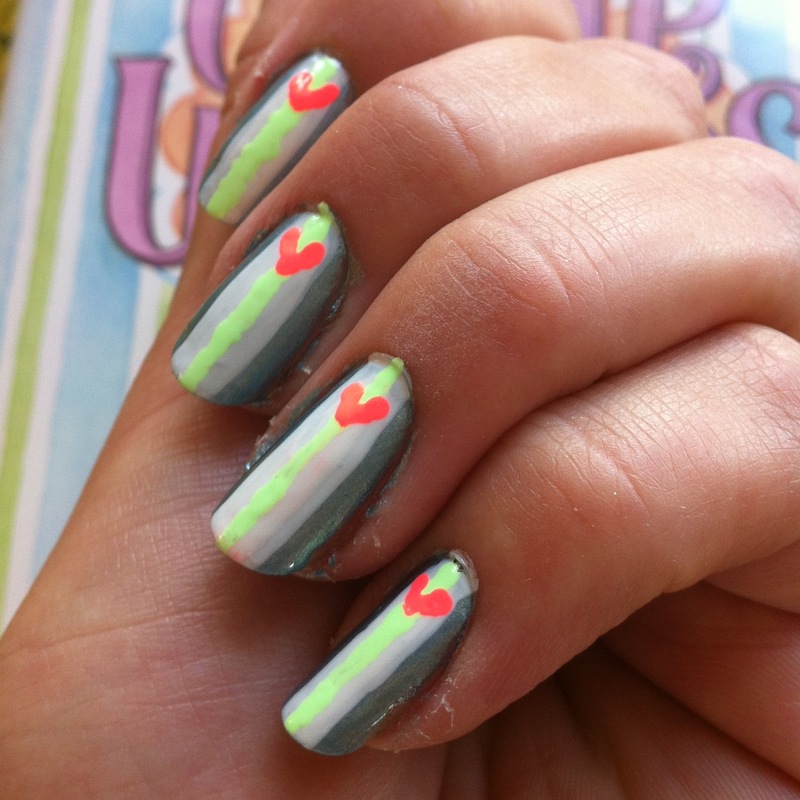 I liked the wallpaper stripes, so much so that it inspired my most recent manicure. My cuticles look terrible, but that’s because I’m not a nail blogger and I’m too lazy to clean up after I’m done painting my nails. 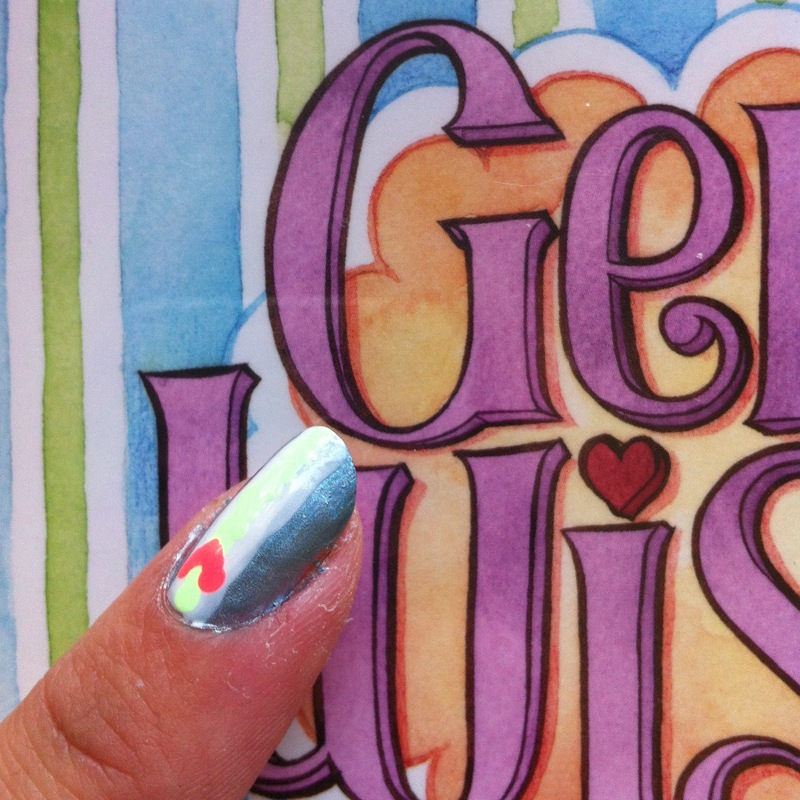 You definitely need to add Genie Wishes to your to-read list.